After you've chosen a paint color, a bathtub and completed the major work that goes into a bathroom remodeling project, you're probably wondering how you're going to fill in the gaps. Adding additional shelving and storage space is the easiest way to reduce clutter and improve the overall aesthetic of your washroom. First off, you should look for a medicine cabinet - this will help you combine storage space and a mirror into a compact package. There are countless styles and shapes available for amateur designers to choose from, so look for a piece in a neutral shade or in a style that matches your bathroom vanity. Floating wall shelves are an excellent way to take advantage of a bare space, and you can find them in countless designs ranging from long flat panels to corner shelving. These are quick and easy updates where you can store small bathroom accessories and also have a place to display decorative accents. Storage is always at a premium in a bathroom, but incorporating some of these accents will help to improve the overall utility of your space. 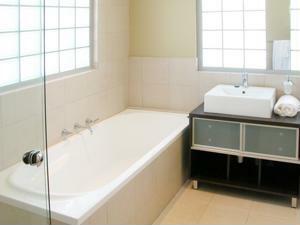 What storage tips do you have for bathroom remodelers?